Home Blog Who Can I Sue for Truck Accident Injuries in Georgia? Being the victim of a trucking accident in Georgia can be devastating – physically, emotionally, and financially. Cargo trucks with a fully-loaded trailer can weigh as much as 80,000 pounds. Crashes involving these vehicles, even at lower speeds, can easily cause serious injuries to everyone involved. If you have been involved in a truck wreck in Georgia, an attorney can help you seek the compensation and justice that you deserve. Who Can Be Held Responsible for a Tractor-Trailer Crash in Georgia? Like all motorists, truck drivers are human and make mistakes behind the wheel. However, when they make careless driving errors, the resulting consequences can be much worse than those of drivers of passenger vehicles. When an accident occurs, liability may not rest solely on the driver’s shoulders. Determining liability can be a complicated pursuit after a truck accident. An attorney can be a valuable resource during this process. Trucking Company – Responsible for hiring and training employees. Companies often own and maintain their employees’ trucks. Many different kinds of accidents can be traced back to employer negligence. Even if the trucking company was not itself negligent, employers are generally liable for the negligent actions of their employees. Truck Maintenance – The business that keeps trucks in good working condition. An oversight in maintenance can cause accidents. Cargo Loader – Failure to properly load cargo can cause shifting and precipitate an accident. Truck Driver – If a driver acts recklessly, isn’t rested, or is distracted, they can be held personally responsible, especially if they are an independent contractor. 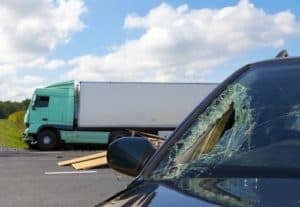 If you suspect that a truck driver’s negligence caused an accident, it is crucial to determine whether the driver is hired as an employee or an independent contractor. A lawyer can help you do this. Was the Driver an Employee or Independent Contractor? Determining if the driver is an independent contractor (IC) or an employee is important because it clarifies the driver’s relationship to the company that they were driving for. Many trucking companies label their drivers as independent contractors when they are actually employees. The facts about the relationships between driver and employer are more important than the label applied. They set their own hours. They may drive for various logistics companies. They own and maintain their own truck and equipment. By and large, trucking companies and their insurance companies will attempt to place the full blame of an accident on an independent contractor if they can. There are some exceptions in which a company is responsible. Some companies provide ICs with a truck or a placard, so they could be liable if the crash resulted from a vehicular malfunction. A trucking company is far more likely to be found liable for an accident involving an employee. An employee is hired, trained, provided benefits, and assigned routes by the company. Trucking companies are typically responsible for the vehicle and maintenance. An employee may be found responsible for an accident if they were not operating under the scope of their employment at the time the accident occurred. Driving on an established route. Intended to complete their work. Was operating under the terms of their employment. However, if the accident occurred while the employee was conducting personal business, the trucking company is less likely to be responsible for the accident. If the driver was an independent contractor, it may be more difficult to find the company responsible, though not impossible. If you’ve been the victim of a trucking accident in Georgia, you need an advocate to make sure that your interests are protected. The experienced attorneys at the Spiva Law Group can help you seek the justice you deserve. Call our office today or contact us online to discuss how we can help you.